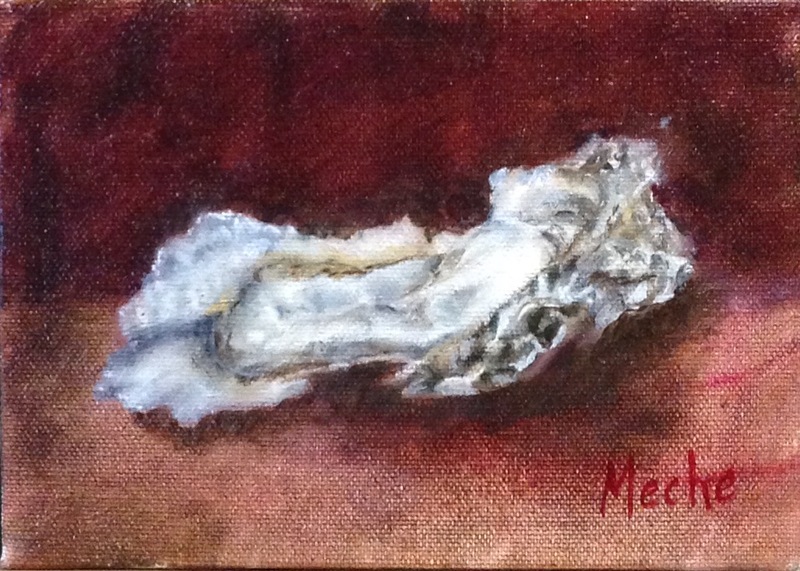 Oyster Oil Painting On Canvass, "Delicious", 5x7, by Mercedes Franklin. For Sale, The Studio Gallery, Grayton Bch,FL 850.231.3331, $200 w/Frame. When I buy oysters I get to look through the bags to pick out the most unusual shells I can find. This lovely shell has been one of my favorites. The inside was plump & delicious. The outside has lines only nature can create. I am honored to represent the beauty of this Bivalve Mollusca!